Vacuum your refrigerator coils twice a year to keep your fridge running efficiently. Let’s face it: In the summertime, your refrigerator is your best friend. There’s nothing like the first sip of a cold beverage to cool you off when temperatures are sweltering, and you don’t even want to think about where you’d be without the freezer. A summer without ice is not a summer you’ll enjoy. Since so much is riding on it, this month’s green tip focuses on keeping your favorite appliance running smoothly. 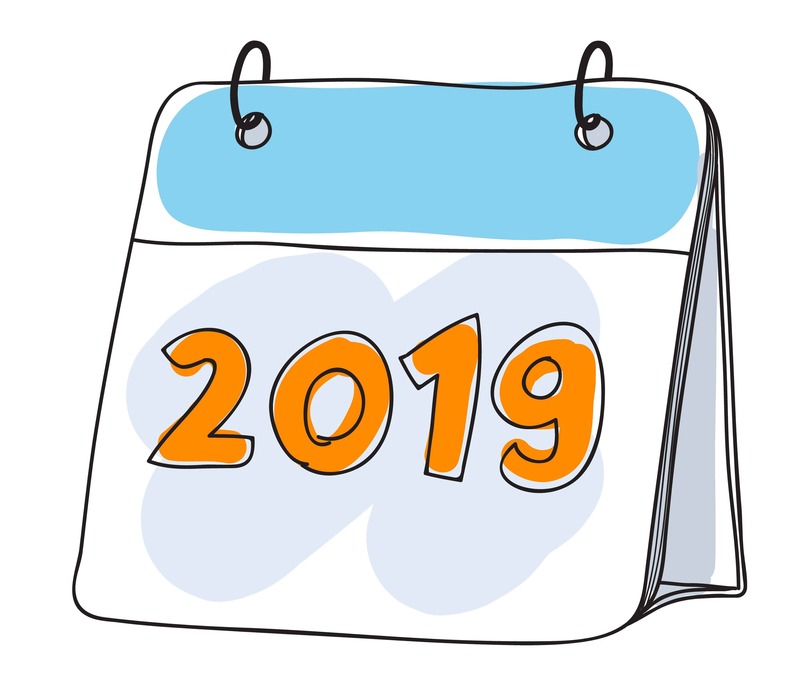 Regular refrigerator maintenance involves vacuuming the condenser coils on the back or the bottom to clear out the dust and gunk about twice a year. 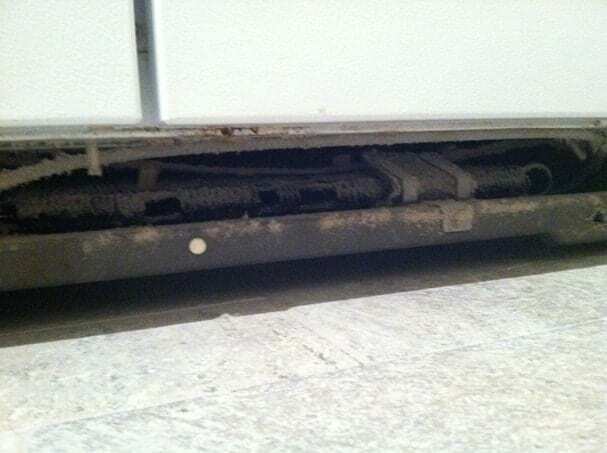 Those coils are critical to pushing heat out, so removing the dust and dirt will make it more efficient at keeping the inside of the refrigerator cold. It’s both more effective at keeping things cold and using less electricity, saving you money. Now that’s cool. So how do you go about vacuuming those coils? We’ve got the process laid out for you, step by step. Step 1: Gently pull the refrigerator away from the wall. Step 2: Unplug the refrigerator. Yes, you have to. Always disconnect the power source before performing any maintenance on any appliance. It’s probably not going to go wrong, but when the downside is electrocution, don’t take the risk. Step 3: Locate the coils. On the back: They should be easy to locate. Look for a metal grid attached to the back of the appliance. On the bottom: This is where it gets tricky. 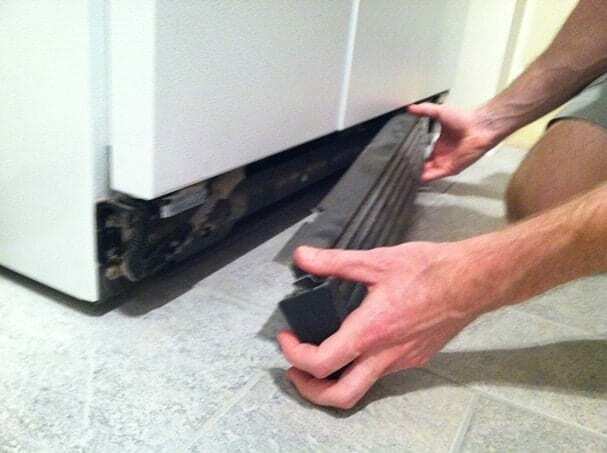 You don’t want to upend your fridge, so coils on the bottom usually have a grate in front that you can remove and then stick the vacuum cleaner attachment in there for cleaning. Look under the door for the grate and gently remove it. 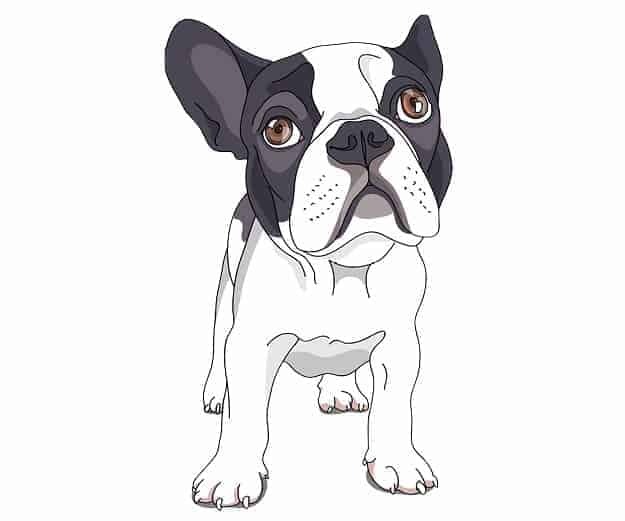 If you have trouble, consult your owner’s manual for more specific instructions. As you can see, my refrigerator coils are on the bottom. Try not to scream in horror when you see how much gunk and grime has collected there, which is what I did. If you don’t clean it often, it’s going to be a mess. Use the brush attachment on your vacuum cleaner hose. 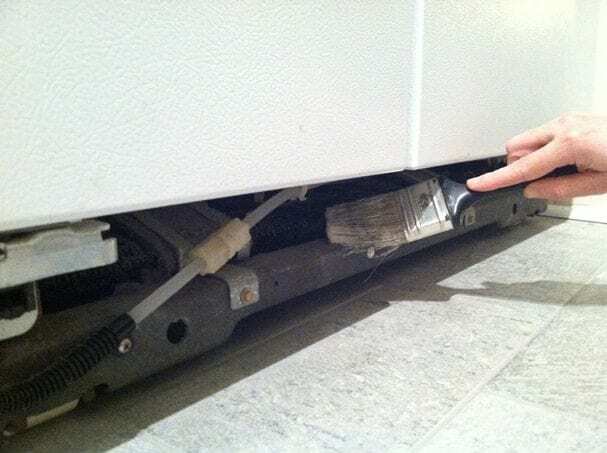 The crevice tool might come in handy as well – there are even same vacuum attachments made specifically for refrigerator coils, so you may want to look into that. Be firm but cautious – you want to get as much grime off the coils as possible without damaging them, so take your time and don’t force it. While you’re at it, you might as well clean the normally inaccessible areas around the fridge. 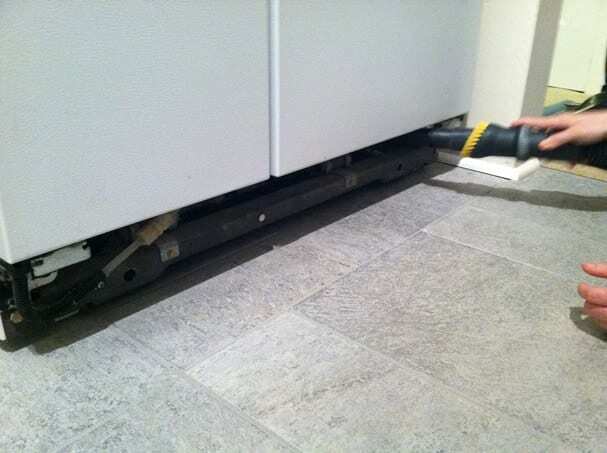 Vacuum the floor underneath where the fridge usually sits, and wipe down the sides/back of the fridge itself. You’re already moving it out of the way, so you may as well take advantage of the situation. Step 5: Use the paintbrush to remove any stubborn bits of dirt. 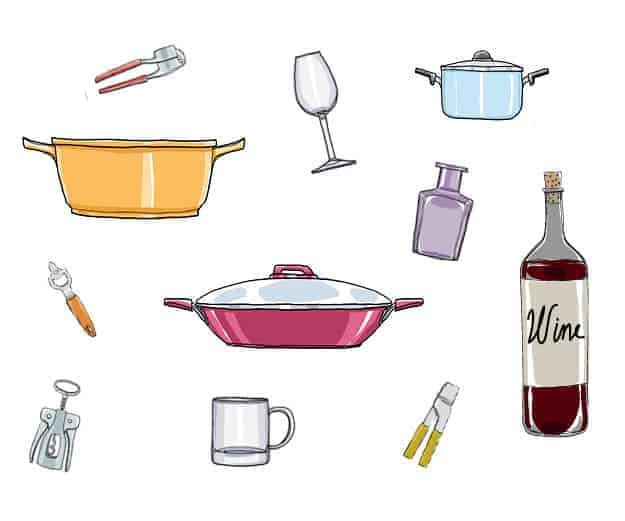 It doesn’t have to be pristine, but poke around all the nooks and crannies to get it as clean as you can. Step 6: Vacuum up all the dirt you knocked loose onto the floor. It’s probably a bit of a mess thanks to the brush, so just get all that cleaned up now. Step 7: If your coils came off the bottom, replace the front plate. If yours were on the back, plug the refrigerator back in and push it back into its home. Step 8: Reward yourself with a cold beverage. May we recommend one of our favorite summer sips ?